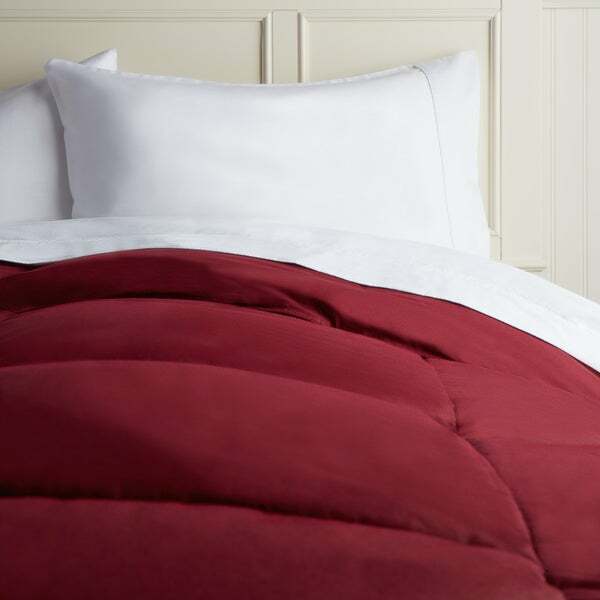 Snuggle down under softness and warmth of down with this luxurious comforter from Hotel Madison. This comforter is filled with 550 Fill Powernatural down that provides lightweight insulation for a comfortable night's sleep. The 350 thread count 100-percent cotton fabric provides softness and comfort to allow the down to loft fully. This is the perfect comforter, lightweight but very warm. I got the pewter and the color is perfect! Was looking for a washable down comforter, in a color, for a decent price.